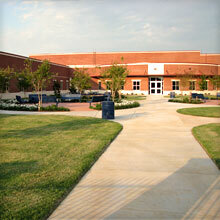 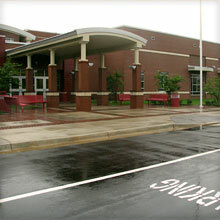 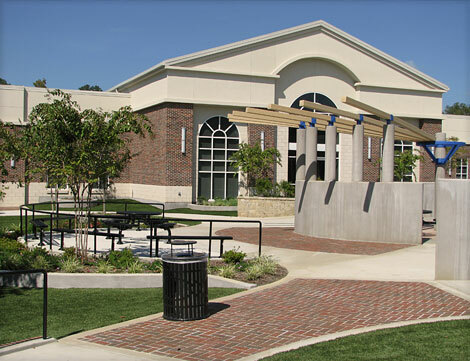 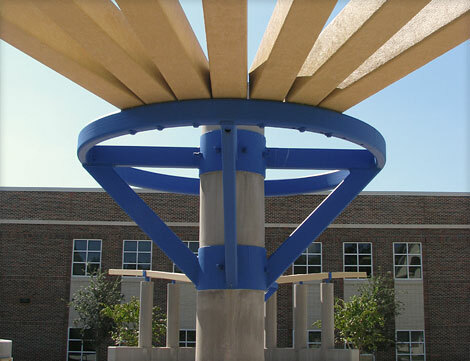 The campus of Jones/Boshears School is different than most elementary school within the Tyler Independent School District. 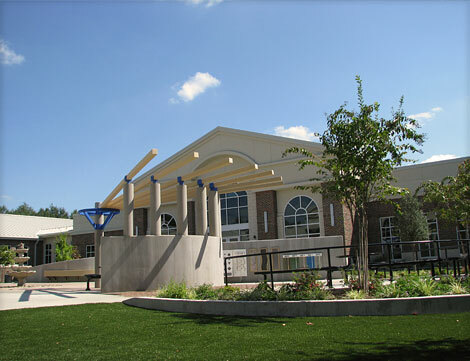 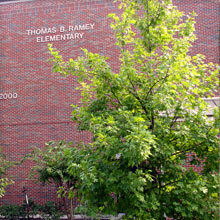 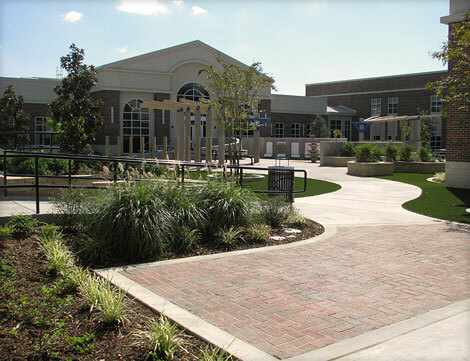 This campus is for two separate schools: Jones Elementary School, and Boshears Center for Exceptional Programs. 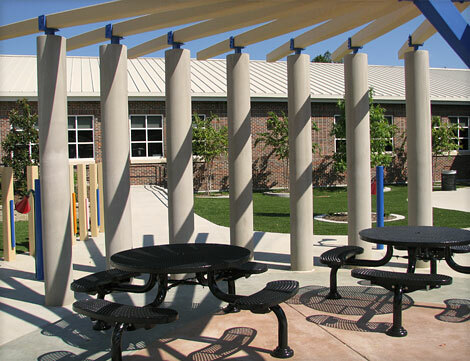 Design of the site development provides for a pleasant and functional environment for both students and teachers. 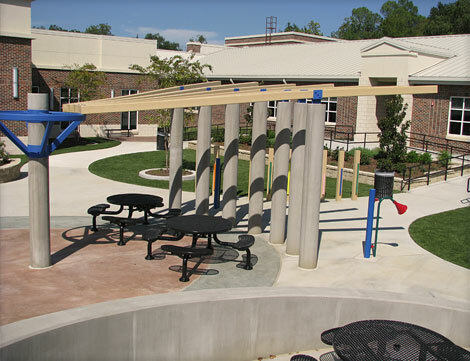 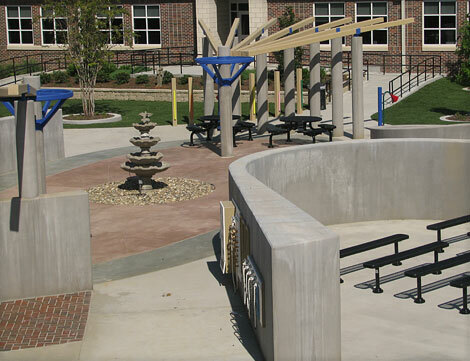 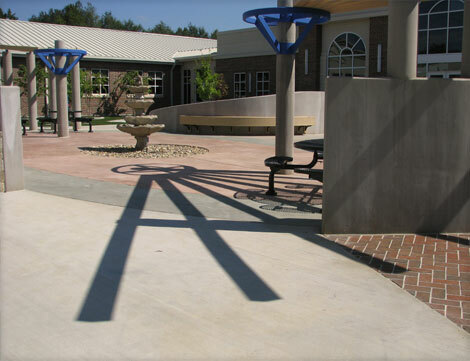 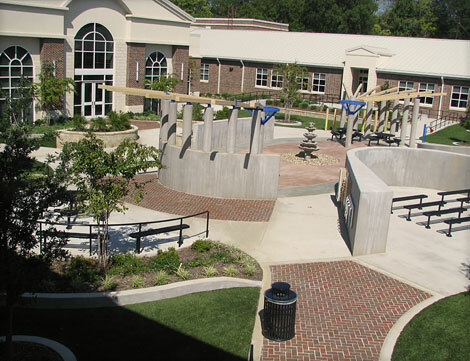 The shared courtyard's theme for Jones/Boshears Elementary School is one of creating an environment that stimulates all of the senses of the students. 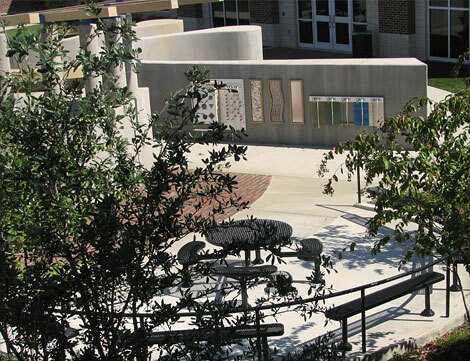 Sensory walls with different tactual activities and raised planters with fragrant plants are but a small part of the development of the courtyard. 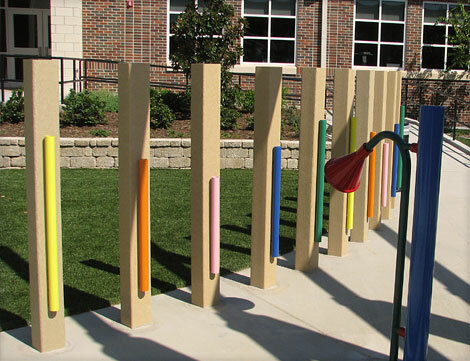 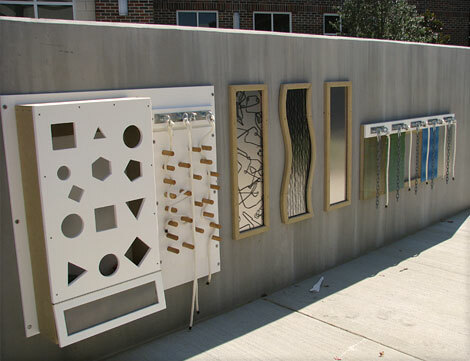 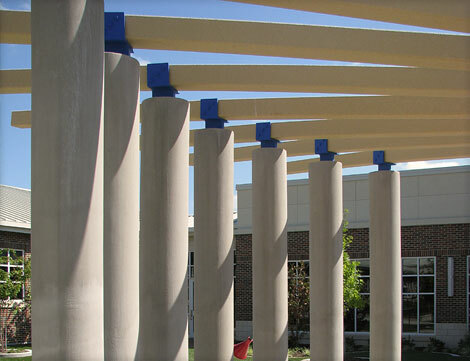 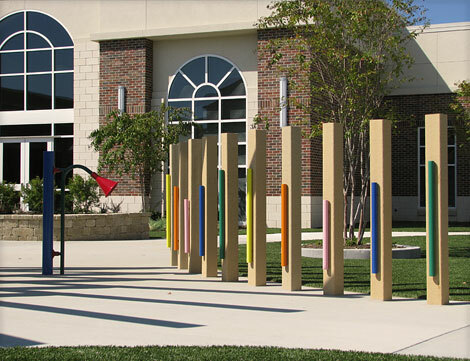 Other items that challenge the students are musical tone pipes on upright posts, a talking tube that travels beneath the ground, overhead structures that create unique shadow patterns, and a system of winding sidewalks. 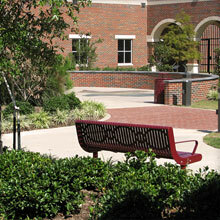 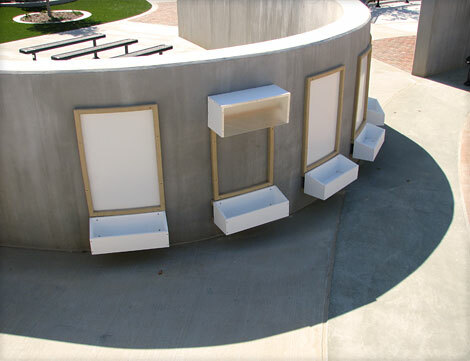 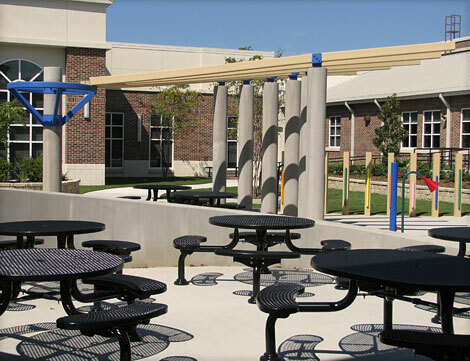 Also, within the courtyard is an area for an outdoor classroom and lunch area. 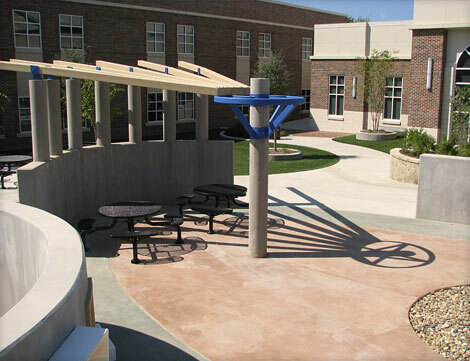 The shared courtyard is used by both schools, and therefore must be exciting and interesting to all students. 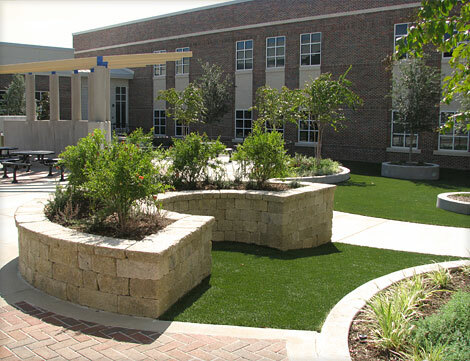 The use of flowering trees, fruit bearing trees, flowering shrubs, and ground covers help generate interest in all directions. 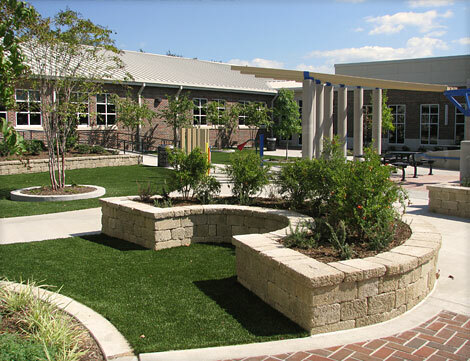 The use of artificial turf in the courtyard also make this area usable year round, as well as reduces the cost of maintenance of the courtyard. 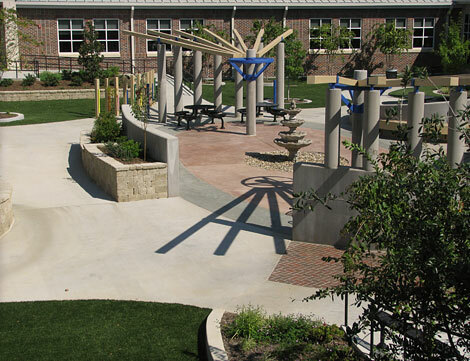 Beautiful, sustainable landscapes start with one thing.A conversation. 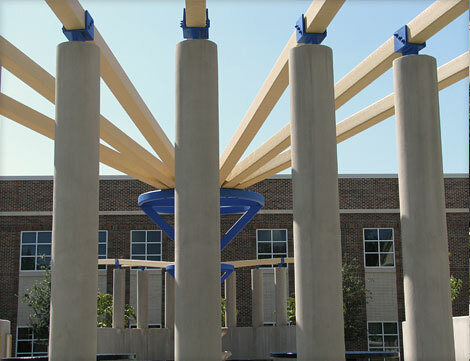 To get started today just call (903) 520-3481, email info@texaslandarchitect.com, or send David a message on the contact page.